Composed by Jaroslav Cimera. Brass - Trombone Solo; Solo; Solo Small Ensembles. 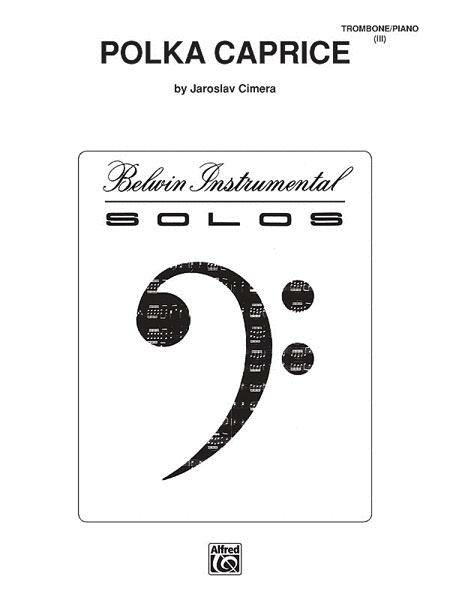 Belwin Instrumental Solos. Part(s). 8 pages. Belwin Music #00-BWI00280. Published by Belwin Music (AP.BWI00280). Polka Caprice is by far the best of Cimera's infamous Caprice series. A magnificent work, it still brings tears to my eyes 13 years after having played it for the first time. Polka Caprice is a "must play"! !